A sweltering summer night, sometime in the summer of 2009, a group of individuals conspired to meet together on 50 Lawrence Street. The city: Leominster. The state: Inconsequential. SF had learned that this musical foray was going to transpire, via an internet service grown popular and known know as “the facebook.” AA had notified SF of the peculiar happening between himself and SS. The two had previously met through a website, it’s name: Inconsequential. For over a year, the two would meet in this Lawrencian basement and mash their musical makeup together, until a pretty girl of a song was churned out. At least in terms of bass and percussion. After several unsuccessful tryouts with guitar practitioners, the two were left dumbfounded. Where to turn? Well why not call on a long past, childhood friend to see what the cut of his sonic gib might be? SF had returned from the arid shores of Arizona and was hungry as ever to join an already developed band. Too old to start something organically, at least too old in his own 26 year old eyes, AA had emailed SF through the already mentioned FB and SF’s creative tingle bone was stroked. On this hot August night, SF ended up at this Lawrencian basement and joined in with the others. SF had previously jammed with AA here, but these get togethers were loose, unfocused, and the occasional little mermaid cover jingle would show itself. AA’s parents were often annoyed of this random noise and the sessions were often cut short, but laughs did ensue, promising something more meaningful for the future. Skip ahead from 2009 to December of 2009. 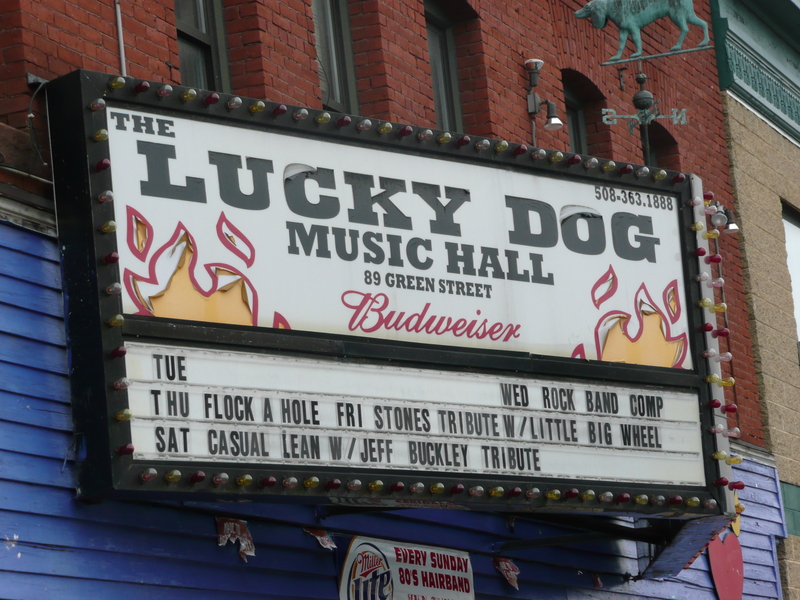 A few rough cuts had been assembled and the band nervously took the stage at the Lucky Dog in Worcester. The same stage the Stones had once graced, as they warmed up for a much larger gig at the nearby Centrum. At this time SF was struggling with a raw, trebly, solid state sound, beamed from his Fender 212 amp. AA had really only ever played one show in a band setting before and was clearly in a strange headspace before going on. SS seemed confident, but rightly so, as he had written all of the songs. How would the audience react to this all instrumental trio? Would it bore them or would their heads bob like ostriches in heat? This not knowing, added to the nervous behaviors, that were dulled by ales and straight whiskey shots. A large smattering of family and friends appeared at this show, curious to see what this group “Miranda” was really all about. Would they sing songs about them? Would they represent their families in the most honorary way? Or would they witness a side of these band members that they previously were unaware of? Too many questions as this band of 3 stalked onto the stage. The sound guy was high and resembled a grungier Ryan Gosling. The show went off and was a success, at least as good as these songs were going to sound in their earliest of incarnations. End Chapter 1. Playing a local show, or a reaction piece. My band recently played a club in Worcester, MA. We’ve played this club several times and it has a really good atmosphere for a rock show. It’s been around over 50 years, so there’s some wear and tear, but this adds to the nostalgic feel. The Stones even played a surprise show there back in the 70s, so there’s some definite history attached to it. But this post is about being in a band, an unsigned band, a “do it yourself” band. Being your own roadie, playing free shows for the coveted drug called “exposure”. However ultimately, with torrents the increasing norm for musical consumption, the live show is the last avenue for most up and coming bands. It’s your last stand at presenting the unique product. There’s no hiding behind slick producers and flashy websites. It’s raw and immediate. My band has been playing for over a year now and we’ve played close to 10 shows. Most have been free, a few where we got part of the door, but mostly it’s been the experience of writing original music and then airing it out for whoever may be there on a given night. And most nights it’s about playing for other musicians, which is fine by me. I’d say our music is more suited for those that play an instrument, however i’d never want us to be solely exclusive to this crowd; it’s not an ego thing, just the truth as I see it right now. Back to the live experience. You are your own roadie at this stage, which means hustling to get your gear on stage, fishing through your cables, adapters, and power chords. Remembering your keyboard adapter for starters, then going from there. 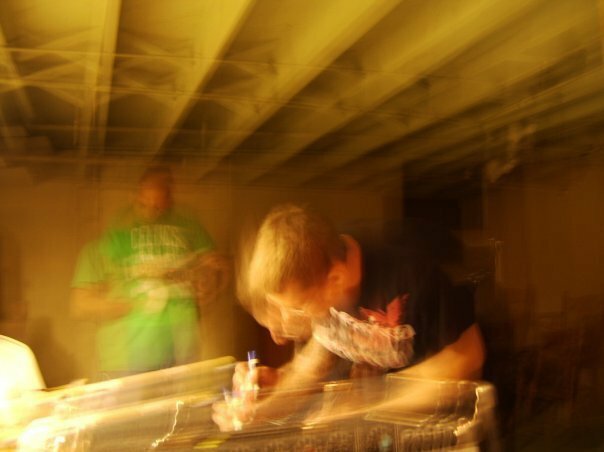 (Which I forgot for this last show) A little back and forth with the sound guy, who is usually quite neutral, like a pay per hour recording engineer at a small studio, and then your set begins. Play your set and the immediate break down begins. No time to recap the show on the spot with your other band members, just an efficient effort at taking your gear apart, and shuffling it off stage – with enough effort not to piss off the band eager to go on after you. It often feels like an assembly line. Band A sets up gear, plays set. Band B waits by the stage, not really listening to what Band A is playing, more so thinking of all the things that need to be done before you’ll be able to start off on your set. Band C is on drink number 1 at the bar and their heads are no where near listening to live music or actually “being at the club”, they’re just getting settled. So Band A, the opener, plays their loud and frenzied set (maybe they only have 30 minutes) and then they seamlessly transform into their own roadies. Band B edges towards the stage and there’s no real interaction between both bands. Both bands heads are in completely different places. Band A might be spent from their set, some sweat on their shirts, and anxious for their next round of drinks. No real band to band comraderie is present. Just a conveyor belt mentality. One band exerts their musical stylings, while the next band swears they have a more unique sound and can’t wait to prove to the crowd that they’re the more interesting of the two. Although there’s a good chance, both bands styles are completely at odds. So these songs are shot off into the bar’s atmosphere with an acute immediacy, there’s always “something” to prove in playing live. Maybe the live experience is much less mechanical than this, it could just be my own perception. Generally though, I’d say the reception for original music is pretty much non-existent in central mass/worcester area. Cover bands are much more likely to draw a crowd of floozies and dudes looking to cut loose. There’s a comfort, a predictability in hearing songs you may have just heard on the radio. Original music from unknown bands is too random, too risky. In a world full of people making very specific choices as to their entertainment, taking a chance on a band is becoming more and more rare. There’s no time to be that careless with my entertainment choices! Not that I want to come off as bitter, as this band is not the only thing I do in life. It’s more of an overall reaction to it all. Karaoke makes you the immediate star. And in an age of the individual controlling their whole online identity, submitting to a band is so 20 years ago. If you go out you want to sing along to a cover band, or try to nail that Keisha song, and maybe have a few drunks clap for you. The idea of handing a large portion of your night over to an unknown band, might be just too time consuming and selfless in this very selfish-infotainment society we find ourselves in. Even me playing in a band and wanting to get noticed is selfish. Not that that’s ever a bad thing, as we all want to get compensated for what we love to do. Lorde, Donald Trump, Marijuana, and Gnostic Living.